James Bond was probably the least applicable, but James Bond it would be. After some sleuthing, it turns out that alleviating the sting is quite an easy fix. Just blanche them for a minute or two and that takes all the sting out of them. Admittedly, I was disappointed. My danger-themed dinner plans devolved quickly into a "Very ordinary, no danger here theme", which is almost as bad as no theme at all. Alas, the nettles were boiled, I must persevere onward. 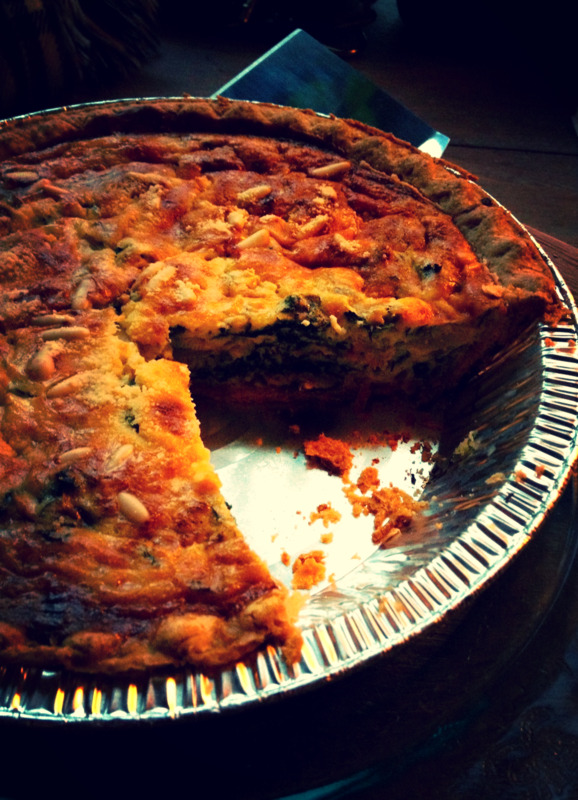 Full disclosure, I based my quiche off of this gem of a recipe, with a few changes/additions. Note to self, I have discovered I will immediately click on any website that has "Voodoo" in the title. This is a weakness, and must be contained lest it be used against me in the future. So you blanch the nettles, drain and set those aside. How much did I use, you ask? Well, I never measure, but I would guess about 2-3 cups, or a few large handfuls. 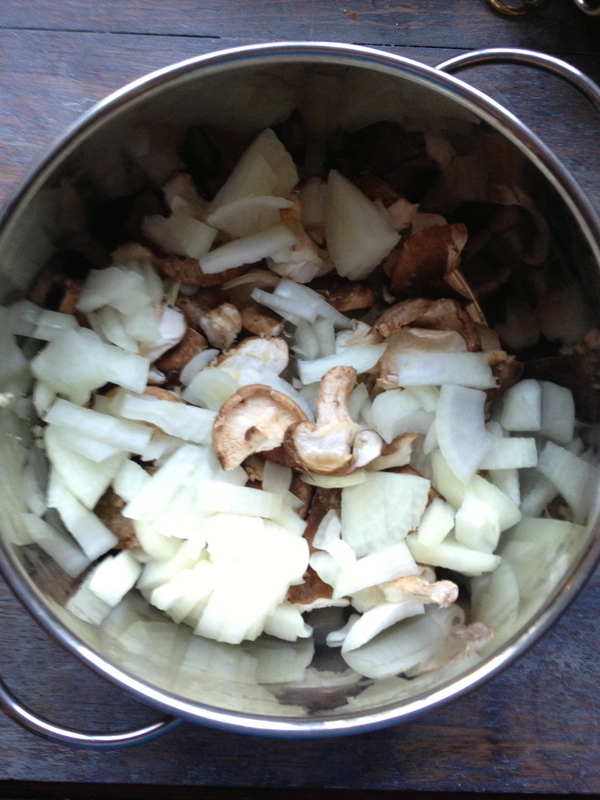 In the same pot (after the nettles are removed), you stick some chopped onions (1 medium onion) and mushrooms (about 2 cups) in the pot with some butter or oil, your choice. After the mushrooms are softened and onions are browned, stir in some herbs - I used thyme, dill and rosemary and some garlic and onion powder. While this is going, I cut off the top of a head of garlic and roasted it in the oven with some olive oil to mix into the filling later. OK, maybe that is a bit more than 3 Tablespoons. Time for the filling: the recipe called for a food processer, but mine is quite small so I tried it out in the blender and it worked perfectly. Mix a 1 lb. tub of cottage cheese with the rind of a lemon, the juice from half a lemon, salt & pepper, some parmesan and feta (about a handful each), the roasted garlic cloves, and I added in 6 eggs as I prefer mine to be very fluffy and eggy. Yes, eggy is a word, no, don't look it up. The magic ingredient that made a huge difference, in my opinion: Smoked Blue cheese. I added about 3 Tbls. in to give it a hint of flavor, and saved some to sprinkle on top before baking. 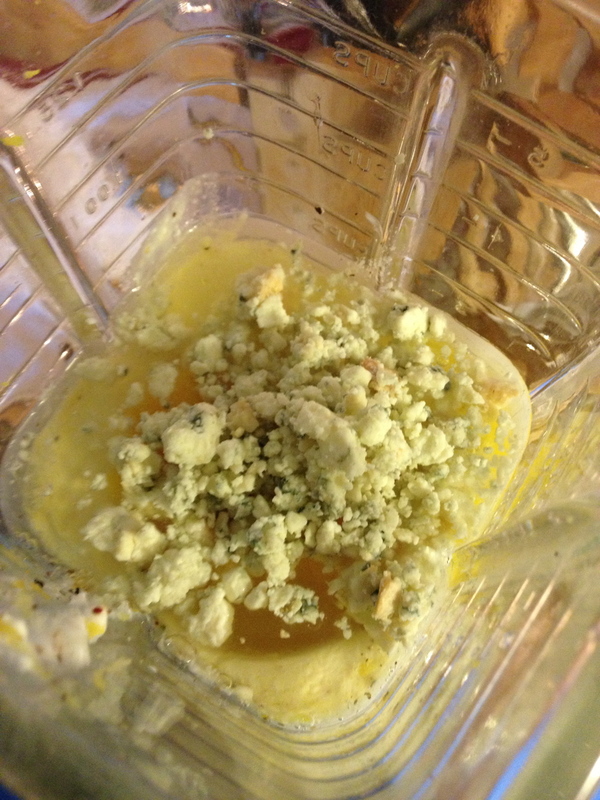 Mix filling together with the nettles (chop them up a bit first) and the mushroom onion mixture, pour in the pie crusts, and sprinkle with the smoked blue cheese, parmesan, and pine nuts. Bake at 375 for about 45 minutes. If you see that the crusts are starting to burn, wrap the edges with tin foil. Les voila! Poke with a fork to make sure it is done and you will be left with a warm, slightly zesty, delightfully cheesy, rich tasting, non-dangerous quiche that has absolutely nothing to do with James Bond. As for pairing with a wine, well, don't ask me, because I pair everything with champagne with raspberries in it, like a classy lady. I served my quiche with sour cream, because I personally believe there is nothing that sour cream does not help, but it also tasted lovely just on its own. Just look at that ace styling. No picture is truly complete without a peek of a cat treat bag and computer cords.